At the heart of The Chauffeur Group is a fleet of over 50 chauffeur-driven modern Mercedes executive vehicles available at anytime you require. 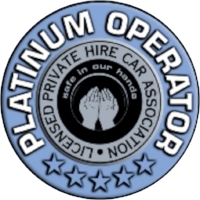 This gives you the assurance that we can always meet your journey requirements, as well as providing the style, reliability and comfort that you expect. We also have a network of approved service partners throughout the UK. As a leading provider of executive car services to both private and corporate clients, we recognise our responsibility to the community to minimise the adverse effects our operation has on the environment. We regularly review our procurement processes with regard to our own fleet of vehicles and also the service partners we employ. Included in this process, we ensure we consider and follow guidelines relating to environmental initiatives and legislative expectations. We continue to research the feasibility of utilising alternative powered vehicles such as, hydrogen and battery cell and understand that this in turn will help our corporate clients meet their company targets towards becoming carbon neutral. We have needed to keep in mind that any change in our vehicle policy, which would mean changing our preferred choice of vehicle, still meets the expectations of our discerning customers with regard to safety record, comfort and performance. Currently, we continue to advocate a preference towards Mercedes vehicles (particularly E Class 220d) for their energy efficient diesel engines, until a suitable electric alternative has been manufactured. To read the Environmental Certificate for the E-Class 220d, click here.